Uberchic have recently released some new products. There is one large plate (which I will have my swatches ad review coming very soon), the St Patrick's Day mini plate and a new glitter stamper. I figure that seems St Patrick's Day is just around the corner it was the best place to start, and the stampers because they are just too pretty not to play with straight away - have I mentioned that I like sparkly things? I really am one of those girls lol. Right, before I get side tracked let's take a look at the goodies shall we? I'm going to start with the stampers, simple because I used these for the manis I have done with the St Patrick's Day plate. 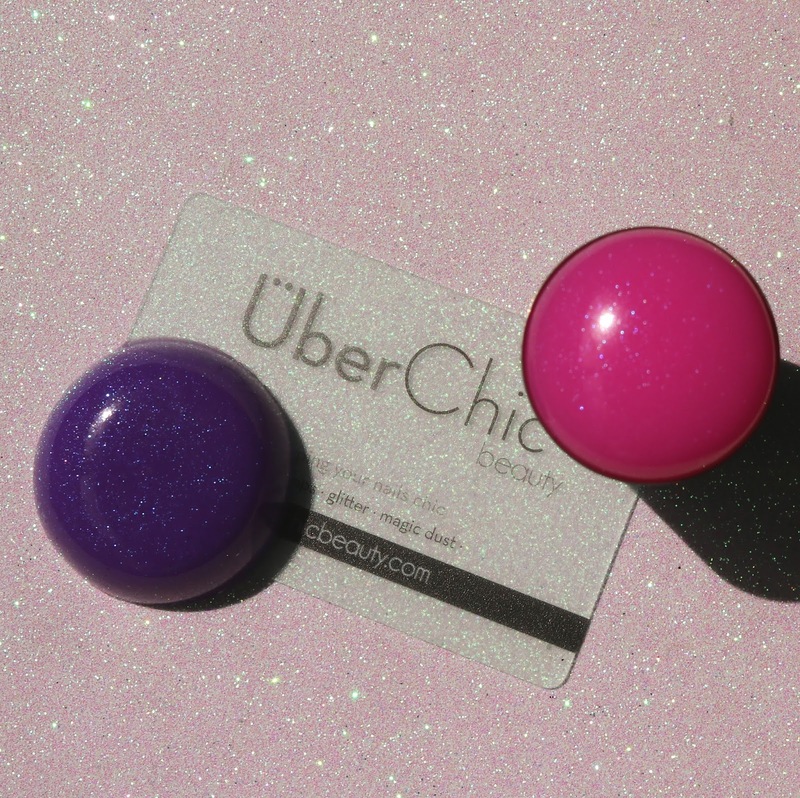 The new glitter stampers come with two XL glitter stamper heads (one purple and one pink - and both are so beautiful in person), a matte black matte cone holder and a credit card like scraper (see pic below). 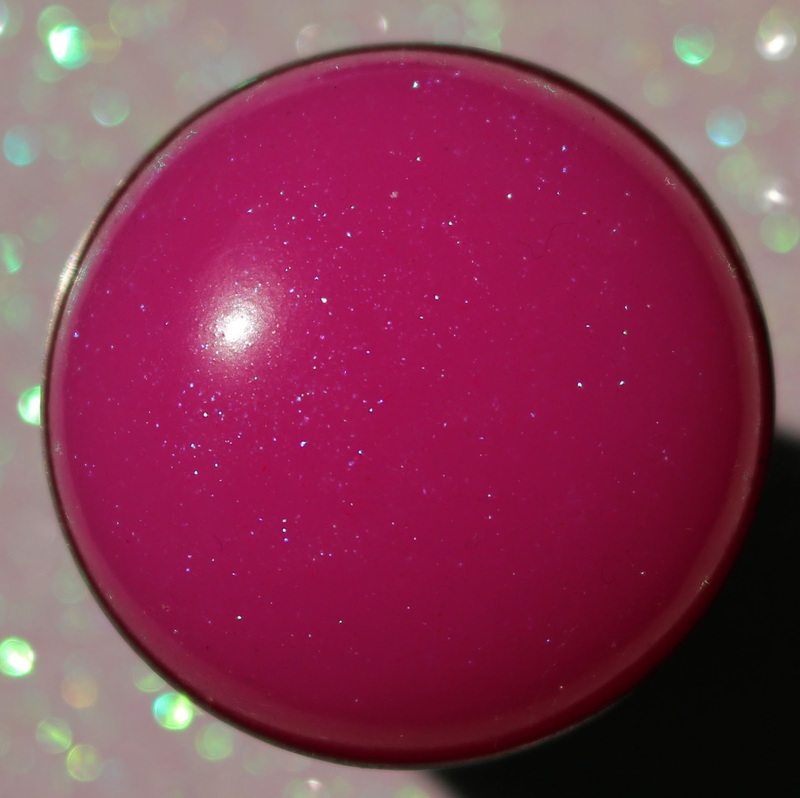 The pink stamping head makes seeing darker polishes easier to see, while the purple head is great for lighter colours. Not only are these stampers really pretty, they stamp beautifully as well. 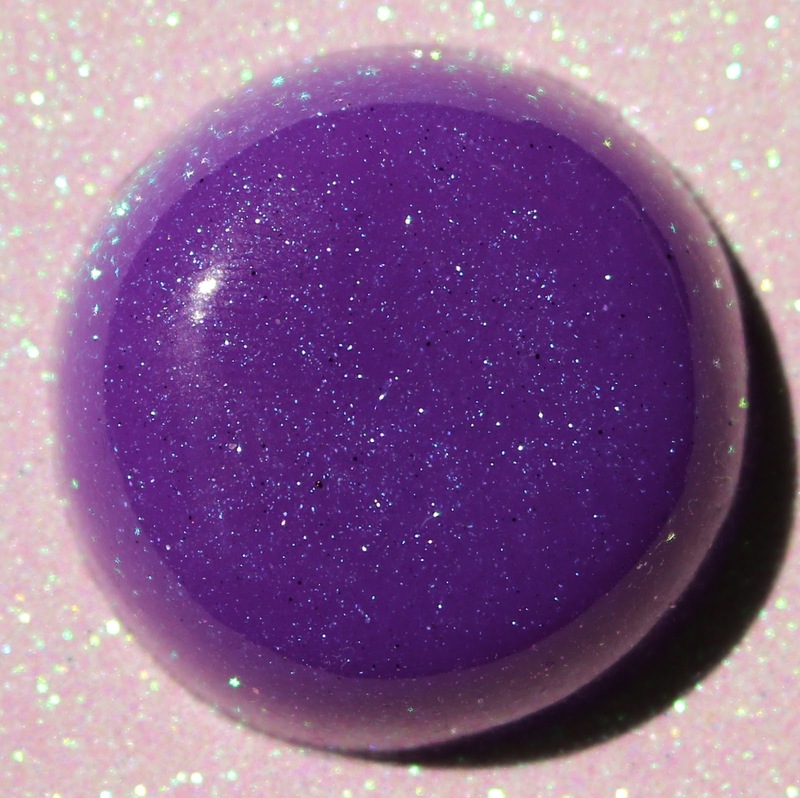 They are of medium firmness and are quite sticky so pick up and transfer the designs well on my curved nails. I really am quite impressed with these stampers. I don't personally do the whole St Patrick's Day thing (in fact I am not too sure I have really done any St Patrick's Day manis before unless they have been part of a nail art challenge). 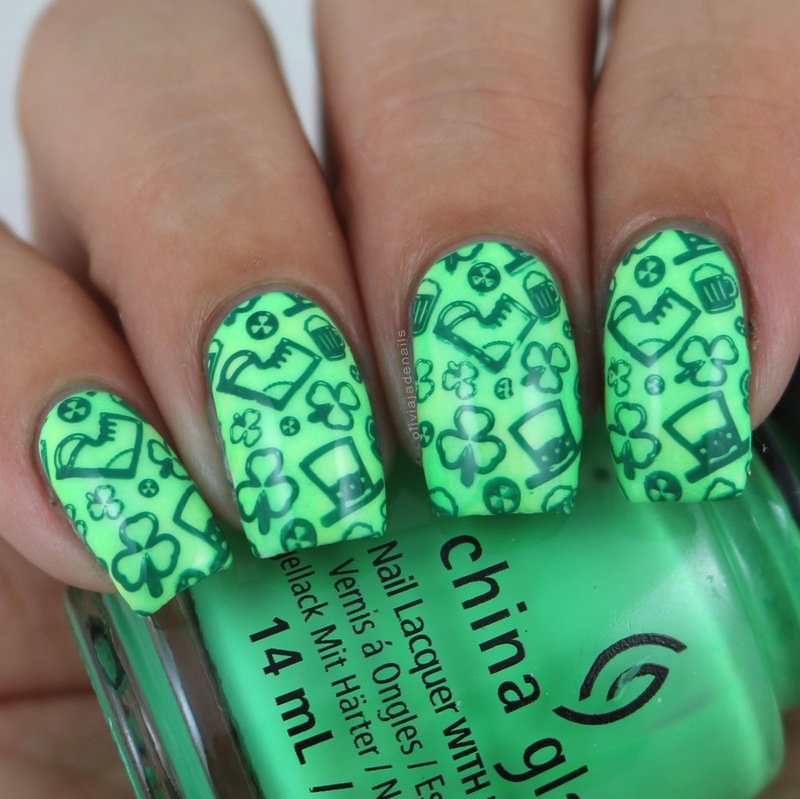 Anyway, for those of you who want some great images for you St Patrick's Day manis then this plate is perfect! It has a great mix of cutesy images and some more sophisticated images. I couldn't go past this first image. I mean how cool is this design? For my base I used Powder Perfect's Lancelot and stamped using Powder Perfect's Black Stamping design. I used the pink stamping head for this mani as well. This next mani is a little bit of a photo fail. You can't really see the smoosh base that I did as my camera freaked out. In person you can really see the different greens that I used. How cute is this image though? For my base I used China Glaze's Grass Is Lime Greener, Lime After Lime and Treble Maker. Stamping polish is Bundle Monster's Annato Clay and again I used the pink stamping head for this mani. As you can see the stamping heads working beautifully. I am a big fan of these and can see me using them a lot. I can't see me personally getting a lot of use out of the St Patrick's Day plate, but it's definitely a great plate to have for this time of year. 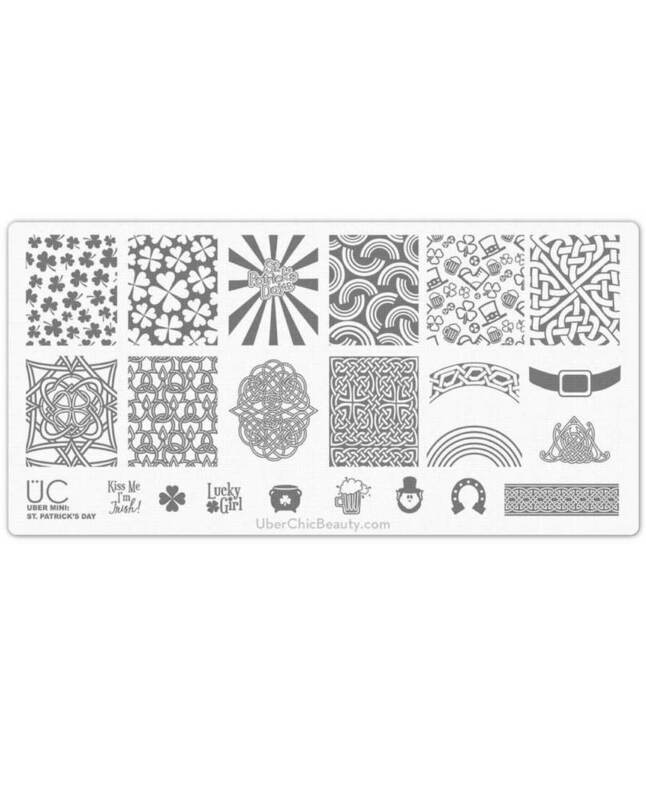 The St Patrick's Day Mini Stamping Plate and the Glitter Stamper are available now from Uberchic Beauty. I loved both of the designs! !